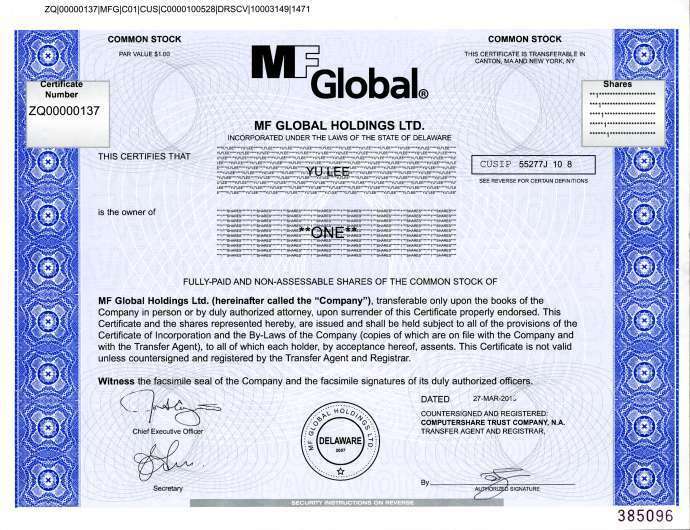 Stock certificate from MF Global Holdings Ltd.. 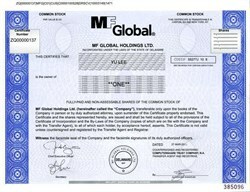 This historic document has an ornate border with the company's logo on top center. 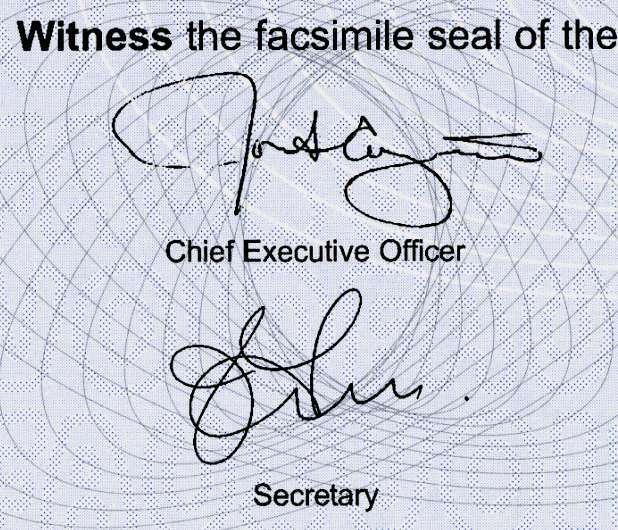 This item has the printed signature of the Company's CEO, Jon Corzine.